According to Singapore company formation specialist Rikvin, Singapore is still one the best places to do business in the world and in spite of recent buzz regarding the city state’s sociopolitical teething pains. Singapore has one of the most stable political environments in Southeast Asia, offering entrepreneurs and investors a strong sense of security and comfort. The judicial system of Singapore has been recognized as one of the most efficient in Asia, enforcing anti-corruption laws so that investors can conduct business without fear of bureaucratic malaise. According to World Bank’s Doing Business 2013 report, Singapore has topped the list for the seventh year running due to its hassle-free business setup processes. These rankings are testament to the quality of Singapore’s capabilities and infrastructure. As a result, Singapore has attracted thousands of multinational corporations (MNCs), many of which have chosen Singapore as their Asia Pacific headquarters, says Singapore’s Ministry of Trade & Industry (MTI). Singapore is home to the world’s top players across all industries, in part, due to its location in the heart of Southeast Asia and close proximity to surrounding emerging markets. This then places it well to straddle developed and developing markets around it. Furthermore, it has over 20 Free Trade Agreements (FTAs) with 27 economies as well as 69 comprehensive Avoidance of Double Tax Agreements (DTAs) under its belt. These agreements facilitate business and trading across borders and make it less costly for Singapore firms to expand their operations internationally. Singapore facilitates trade through a dynamic supply chain management as well as efficient logistics infrastructure. The Singapore Changi International Airport serves over 80 international airlines and connects people to more than 190 cities in 160 countries daily. The airport also handled a record 51.2 million passengers in 2012 and 2.1 million tonnes of air freight annually, according to data from SATS, Singapore’s gateway services provider. It is also home to many leading logistics firms such as UPS and FedEx. According to the World Economic Forum’s Global Competitiveness Report 2011 – 2012, Singapore offers the best IP protection, infrastructure and incentives in Asia. It also comes a close second in that ranking globally, next to Finland. Singapore is a vibrant nerve center to 123 commercial banks, 154 fund managers and 291 capital markets services license holders. It is not only a hub for wealth management and investments in Asia, but has the fourth largest forex trading center, the Singapore Exchange (SGX). As a result, successful entrepreneurs are in good stead to have access to a combination of private and commercial banking services to fund the expansion of their business and at rates as low as 1% per annum. The Singapore personal tax structure is progressive. Marginal rates range from 0 – 20% and the framework allows residents to tap various reliefs, thereby lowering their effective payments. In addition, Singapore offers the Not Ordinarily Resident (NOR) Scheme. 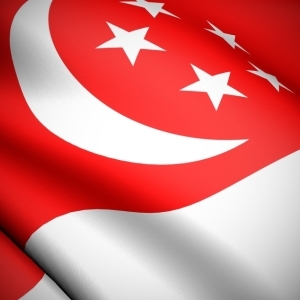 It grants a favorable five-year tax treatment for qualifying individuals working in Singapore. Such individuals are employees of a Singapore registered company, earn at least S$160,000 per annum and spend at least 90 days per year outside Singapore for work purposes. As such, IRAS will not tax the individual on the income of the duration spent outside Singapore for business. Besides its vast network of free trade and tax treaties, Singapore also offers one of the most attractive corporate tax structures in the world. Although its marginal rate is the third lowest in the world, its effective rate is even lower. Rikvin’s Singapore Corporate Tax Calculator is made available online to help entrepreneurs estimate their corporate tax rates when they do business in Singapore. Through its enhanced PIC Scheme Guide, the Singapore government has made it possible for a firm to not pay corporate taxes even if it earns S$28m. The Rikvin PIC Savings chart demonstrates that this is possible if firms invest in every PIC activity. “Through this list, one can then see that Singapore is a country which offers a stellar business environment. We hope that entrepreneurs and investors will have a better understanding of the merits of placing themselves in Asia and opting for Singapore company setup,” affirmed Ms. Lim.